Get ready for the 4th Annual Downtown Winchester Chocolate Escape! On Saturday, February 9th we will be offering a Quadruple Chocolate Tartlet or Grilled Chicken Mole Skewers for just $3 each! We will also have a couple of chocolate beers on tap with chocolate drink specials as well! 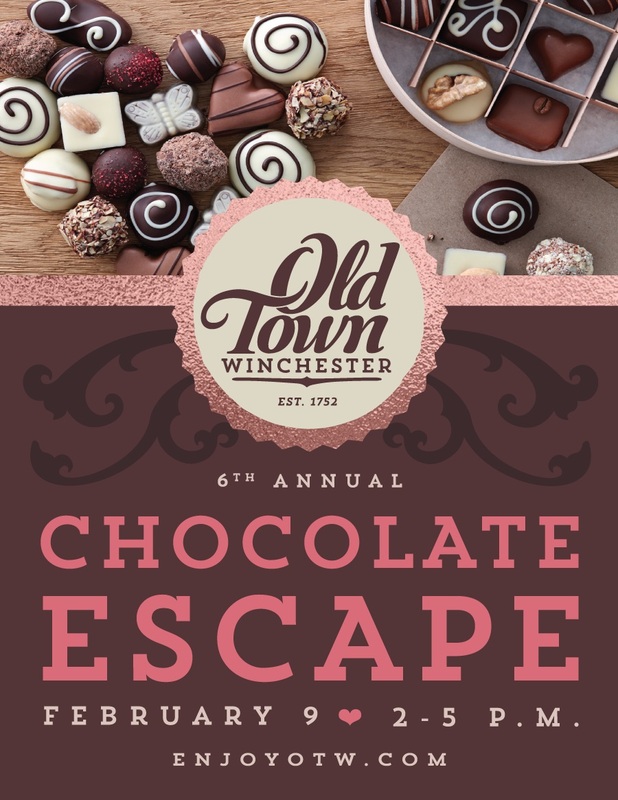 Visit http://oldtownwinchesterva.com/events/major-events/chocolate-escape/ for details and other participating locations! Winchester on the Rocks is Back! Stop in this week (January 13th-19th) for our Winchester on the Rocks offering: Shenandoah Cinn-ful Cider! 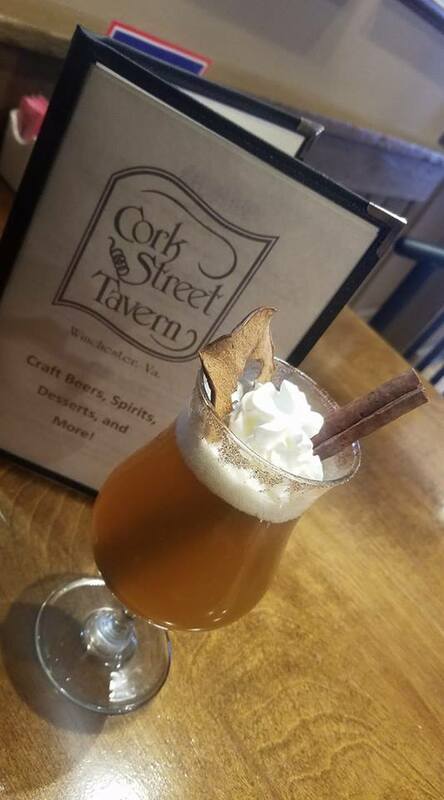 Jim BeamApple, Goldschlager, honey, molasses bitters, and mulled local cider! Be sure to vote for your favorite cocktail with ballots at the Tavern or go to www.winchesterontherocks.com/vote! Our awesome Caps crowd after the amazing win over Tampa Bay in game 7! Thanks to Jen Barr for the amazingly timed video! From our Cork Street Family to yours: Happy Holidays! We will be closing at 8pm (last seating at 7pm), Sunday the 24th and will be closed Monday, December 25th to enjoy some time with our families. We hope you enjoy yourselves as well! Join us for our tap takeover featuring all of their Double Bass Chocolate Stouts. We will have the original Double Bass, Chipotle Chocolate, Mocha Chocolate, and Peppermint Chocolate stouts on tap and offering pints and flights for you to try all of them! Starting at 6pm on Wednesday, December 13th! Three Notch'd/Blue Toad Steal the Pint Night! Stop in to check out our new menu! Our East Side is Reopen! In case you haven't heard, we finally reopened our East Side Bar! We will be operating on a slightly abridged schedule for the time being (until the work in our upstairs section is complete). Here are some pictures of the renovations finalized!